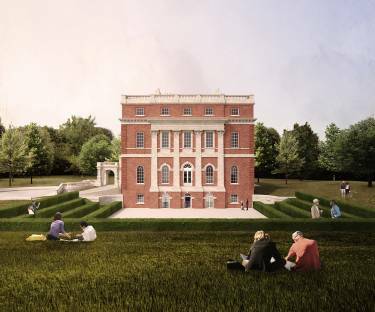 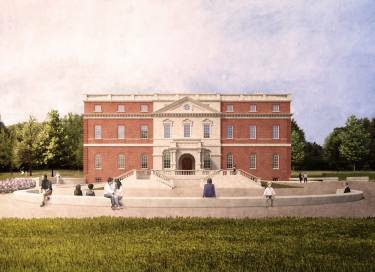 Selldorf Architects participated in an international competition for the restoration and rebuilding of Clandon Park in Surrey, U.K., an 18th century Palladian, Grade II-listed National Trust property that suffered from a devastating fire in 2015. 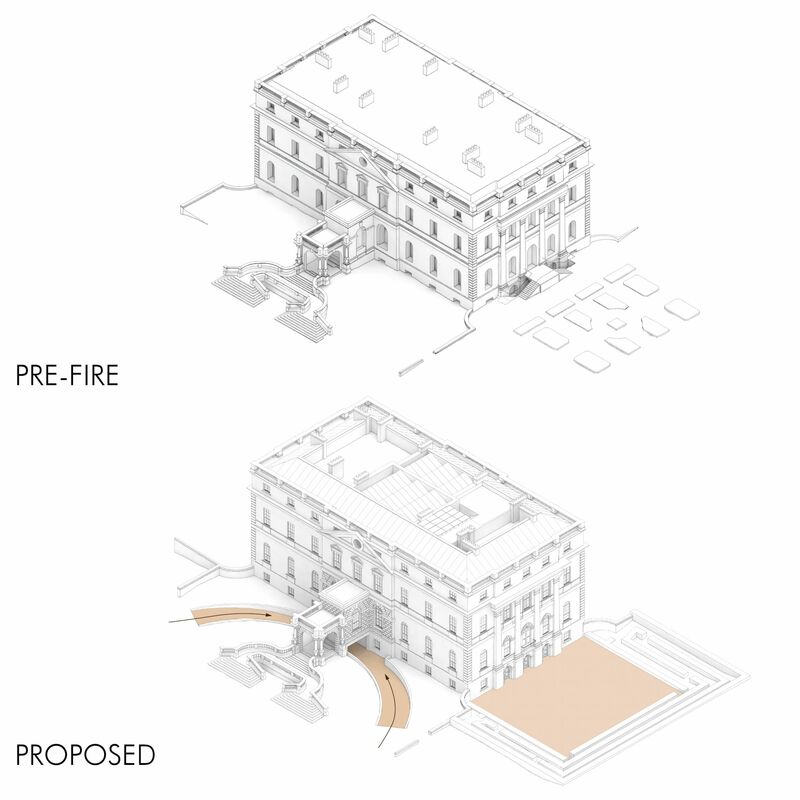 The proposal reconnects the experience of the house to the landscape, restores and reveals the historic exterior as designed by Giacomo Leoni, and strengthens the circulation to create a series of contemporary exhibition and education spaces within the context of restored domestic spaces. The international design team included Cowie Montgomery Architects, Vogt Landscape Architects, Studio Jorge Otero-Pailo, ARUP, and Martin Ashley Architects. Taking the historical procession into consideration, the design recaptures this arrival experience on a smaller scale as the visitor moves to the house through the garden. 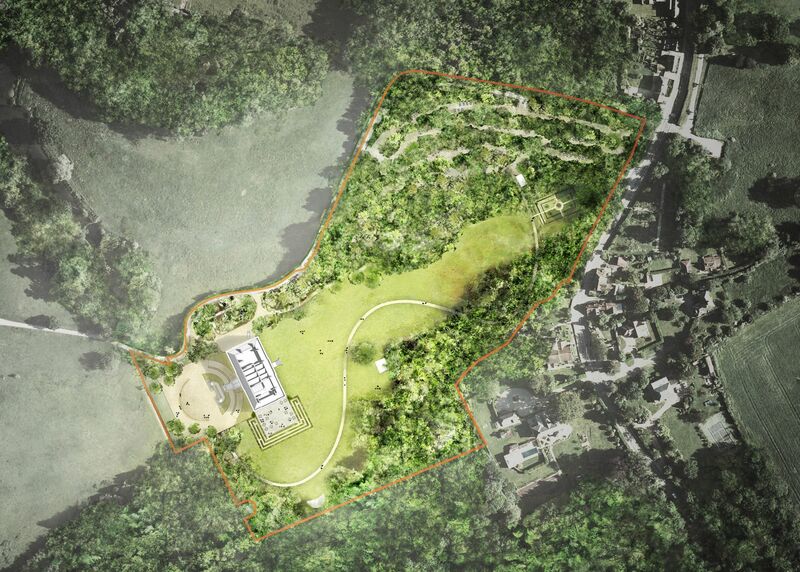 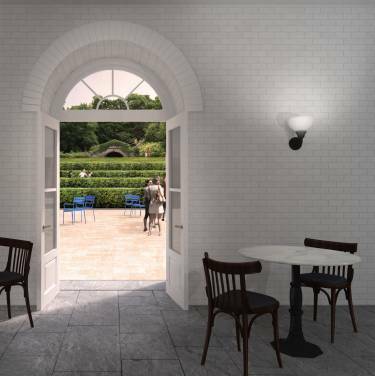 Starting at a relocated visitor reception building, the path leads visitors along a fully accessible meandering route, through the garden landscape and a series of different atmospheric experiences along the way. Visitors take in existing historic features and proposed contemporary additions – the picnic and play area, the café courtyard with its topiary maze and an elegant western arrival forecourt. 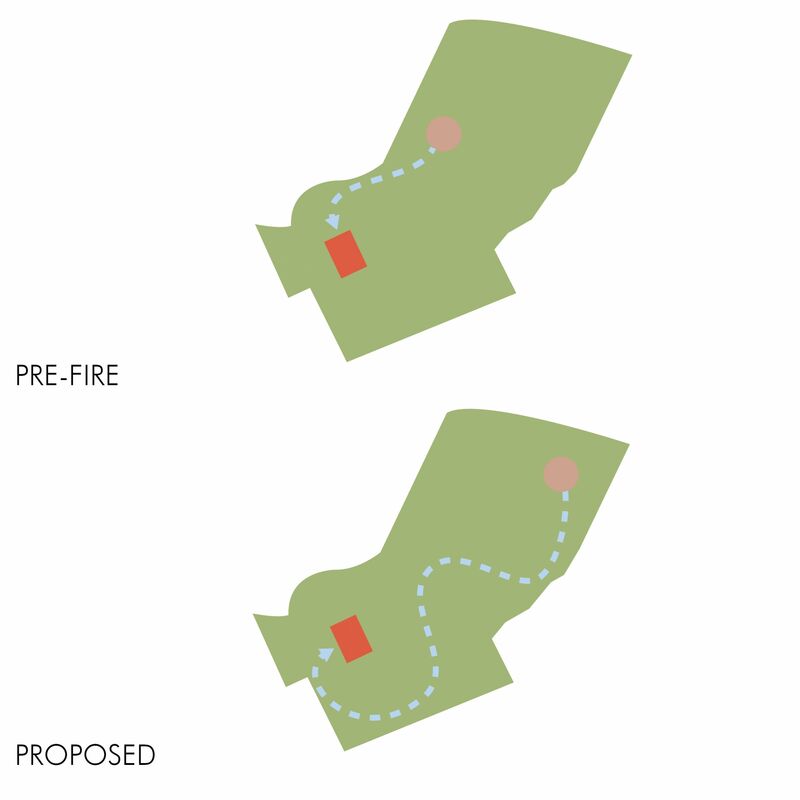 The design relies on a commitment to the order and clarity that lie behind Leoni’s essential plan. 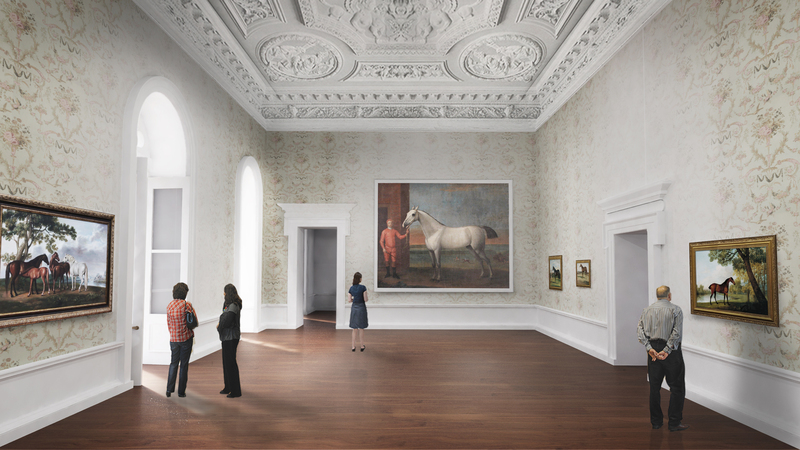 The proportions and scale of the rooms, the materials of the floors, the design and making of the 18th century ceilings, and the way that light enters, defines the history and character of place. 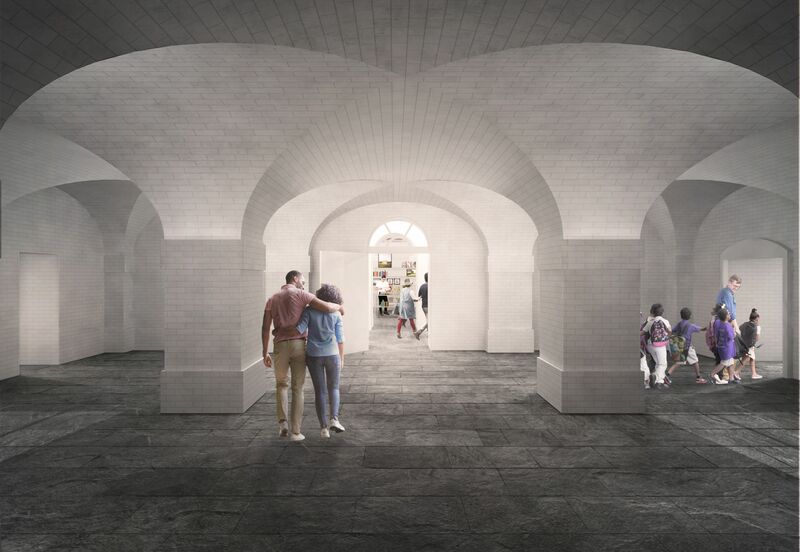 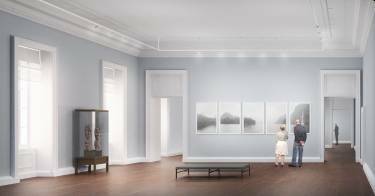 With this premise the team maintains and re-establishes the building plan, restores and conserves the majority of the lower floors whilst the upper floors are rebuilt in the spirit of the original as contemporary, modern exhibition and education spaces. 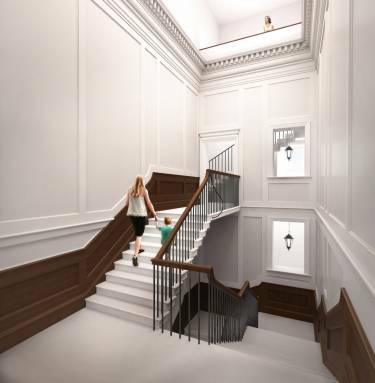 The articulation of the two staircases demonstrates the conceptual approach to the house. 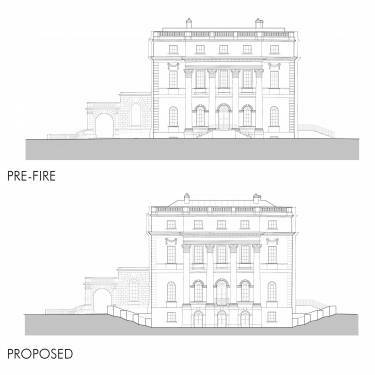 The skylit south stair is an entirely contemporary insertion designed in dialogue with the open vertical shaft created by the fire. 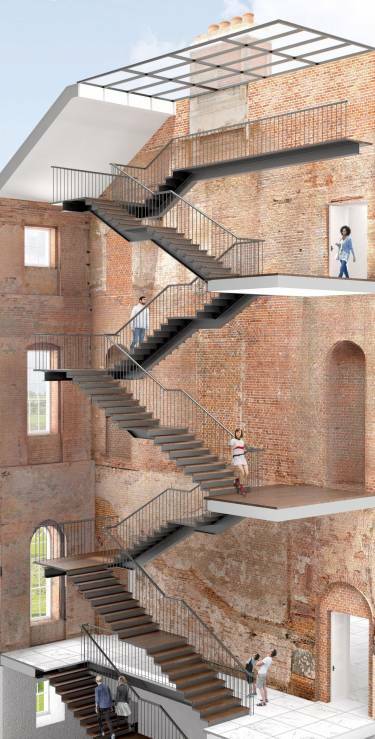 In the spirit of Leoni’s emphasis on the importance of a well-designed and beautiful staircase, it welcomes visitors to experience Clandon’s new enriched program as it reveals its past, present and future. 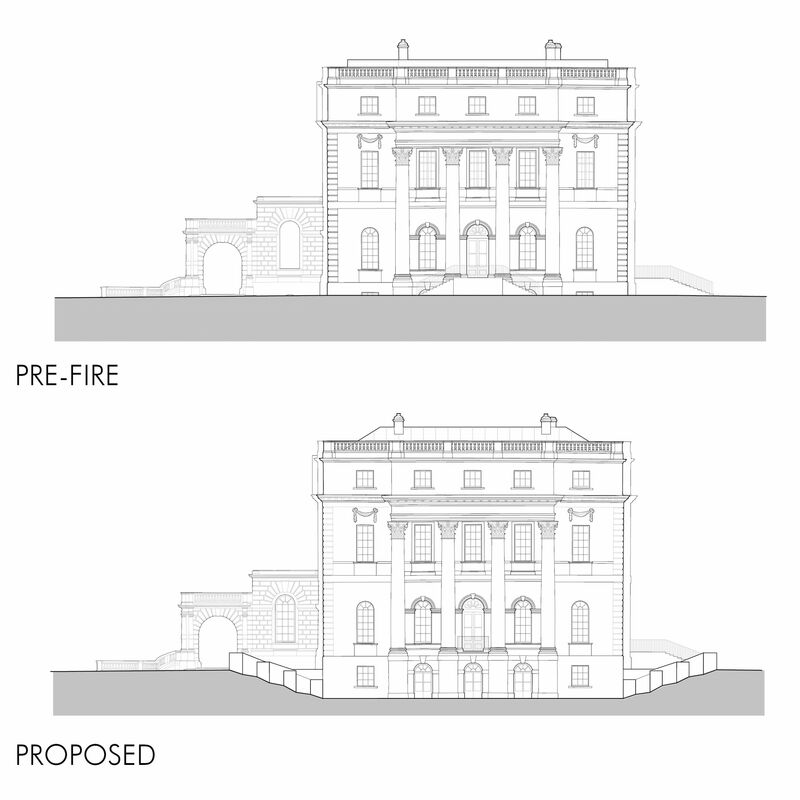 The north stair replicates that lost in the fire, being a self-supporting stone structure enhanced with a significant void above it.